June | 2013 | Welcome to the world of NECCO! NECCO visits the Mittineague Elementary School! 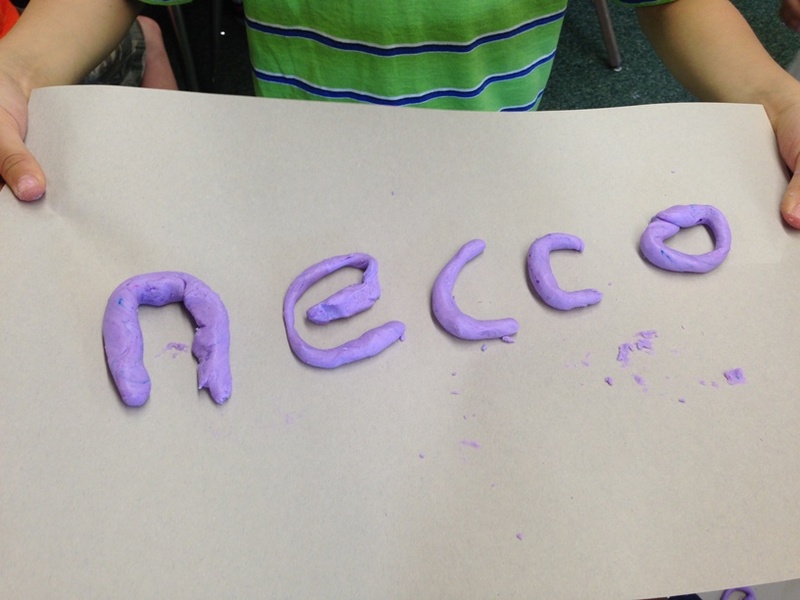 On Wednesday NECCO paid a special visit to the Mittineague Elementary School in Springfield, MA. The children in the school brought it to NECCO’s attention that their school-wide read, Turtle in Paradise by Jennifer L. Holm, mentioned NECCO Wafers several times throughout the novel. The children explained that while reading they also investigated to learn more about NECCO, and they were so happy to find out NECCO was located in their state! In addition to the fun tour of NECCO’s history, students were able to learn about how NECCO Wafers were made, including what are the ingredients and how the machines work. 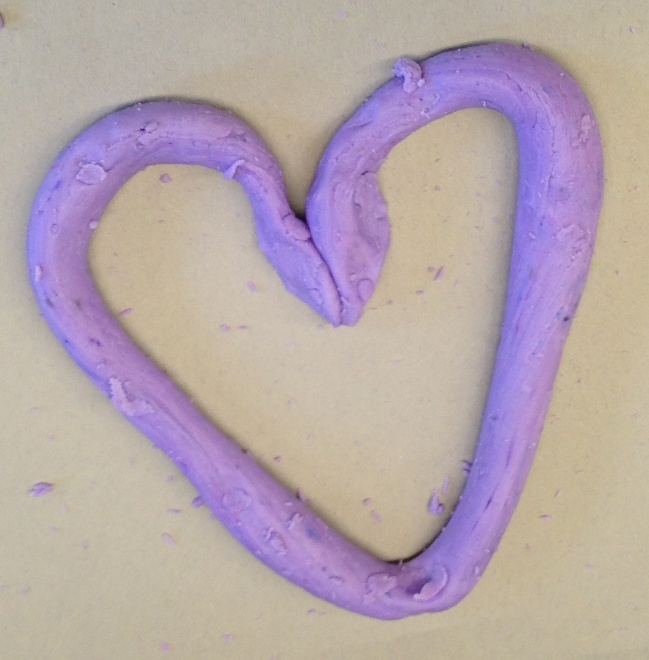 Then they were treated to a surprise: NECCO brought along NECCO Wafer dough! 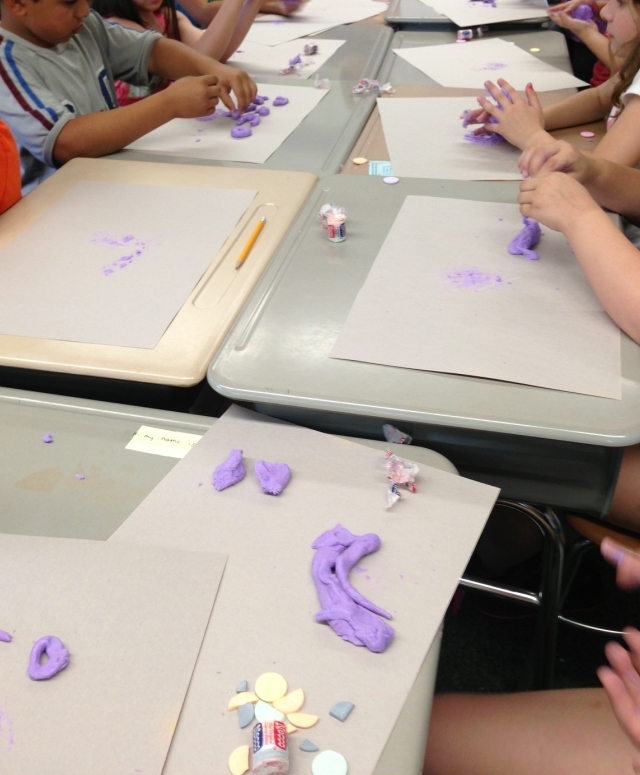 Each student received a handful of the dough, which is the mixed ingredients to NECCO Wafers, and was able to have a blast creating their own yummy masterpieces! The room was abuzz with chatter and laughter as the children created and re-created wonderfully imaginative designs. Following their craft, each student was treated to a handful of the finished product. Overall, the school trip was an amazing one for NECCO, and it was an unforgettable experience to treat the students to a fun time of learning NECCO’s proud history and getting the chance to be a candy maker for the day! Categories: Events | Tags: candy, candy maker, crafts with kids, elementary school, NECCO, necco wafers, new england | Permalink. Last week, NECCO attended the annual Sweets & Snacks Expo in Chicago. In attendance were hundreds of confectionery and snacking companies from across the country and the world. Companies set up booths and exhibited their product lines, helping to educate others in the industry. In 2013, NECCO debuted a brand new booth that showcased all of their classic candies such as NECCO Wafers, Sweethearts, Sky Bar, Mary Jane, Haviland Thin Mints, Clark Bar, Candy Buttons and more! (Check out Necco.com for our full product line!) 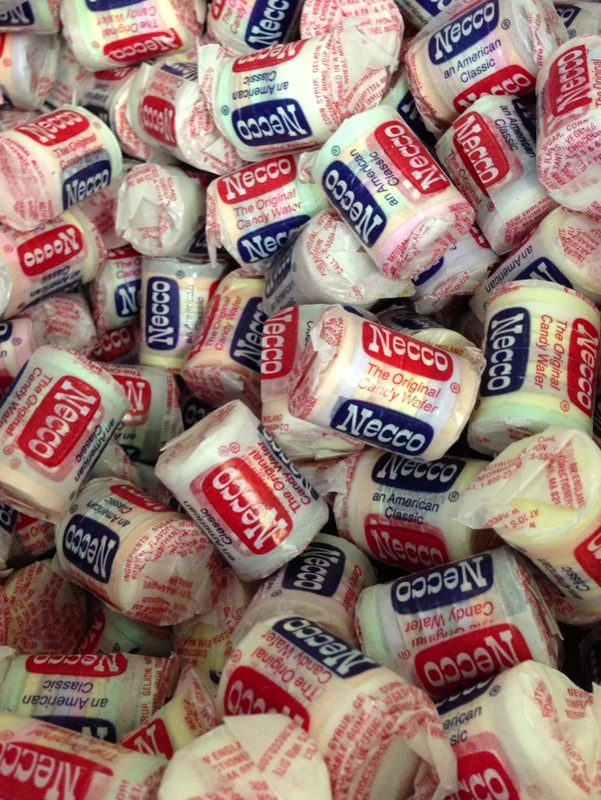 Each towering kiosk highlighted NECCO’s widespread product line and production capabilities. 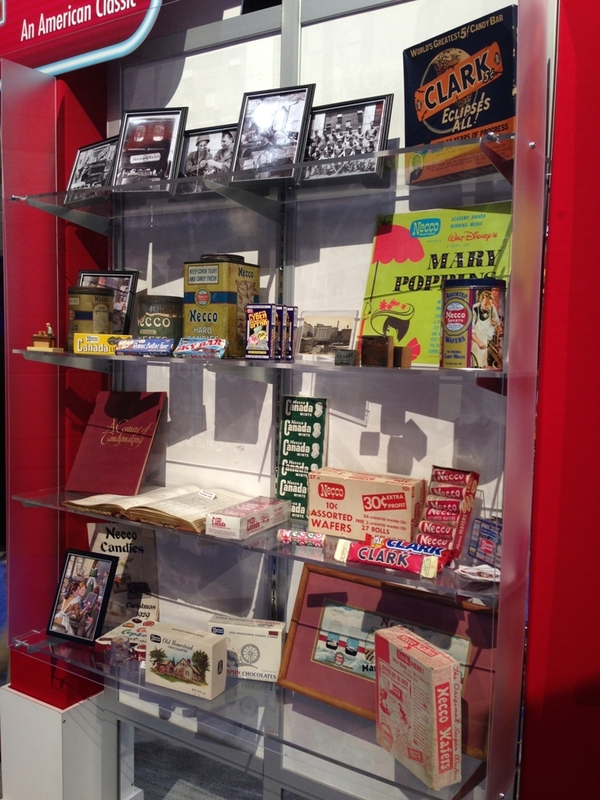 Also featured within the booth was a display of NECCO’s proud, storied history. With artifacts such as an authentic early 20th century era Clark Bar or a sales ledger from 1901 as well as a plethora of important milestone photographs, the crowd was abuzz when they visited this kiosk. Guests walking by studied the shelves, took photos and pulled others over to take a glance. This kiosk, which so wonderfully showcased our passion and innovation over our 166 years of existence, was a fan (and company) favorite. In addition to their display of their classic sweets, NECCO also unveiled three new products which will appear in the upcoming year, including Tropical NECCO Wafers, which has just hit the store shelves! Attendees were able to sample some of NECCO’s candies as they learned about the extensive history, product line and production capabilities of this classic American candy maker. The Sweets and Snacks Expo was undoubtedly a great experience for all! Categories: Events | Tags: candy, chicago, events, NCA, NECCO, necco wafers, new england confectionery company, Sweethearts, sweets and snacks, trade show, Tropical NECCO Wafers | Permalink.